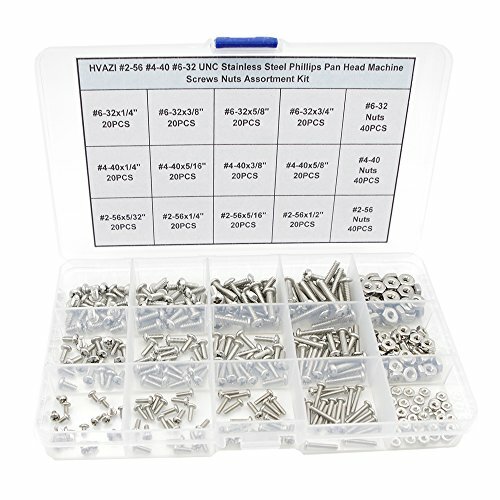 HVAZI 360PCS #2-56 #4-40 #6-32 UNC 304 Stainless Steel Phillips Pan Head Machine Screws Nuts Assortment Kit in a plastic box. View More In Machine Screws. If you have any questions about this product by HVAZI, contact us by completing and submitting the form below. If you are looking for a specif part number, please include it with your message. #10-32 x 5/8" Oval Head Phillips Machine Screw, 100 pk.